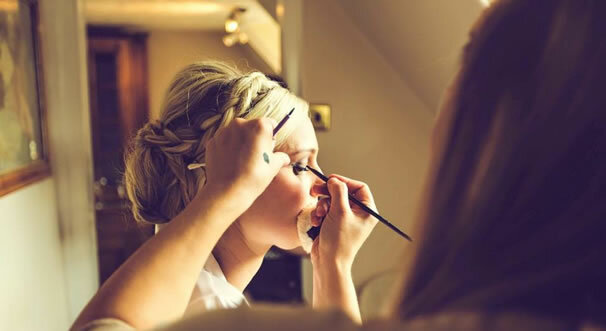 Nicola trained in London in 2010 and specialises in Bridal and Photographic make up. She has gained lots of valuable experience over the last few years working with Kent and London photographers in their studios and with lots of local Bridal parties as well as being one of the makeup artists for Essex Fashion Week and working on the NTA awards. She has had her work published in Bridal magazines and has also been involved with Film productions and worked with a popular fitness brand on their website and youtube promotional video. She frequently attends master classes and workshops to extend her knowledge and to make sure she incorporates the latest beauty trends into her work. Nicola is a MAC Pro and Bobbi Brown pro member and uses only high end makeup brands that are luxurious and proven to be long lasting, as well as MAC and Bobbi Brown she loves Chanel, Dior and Makeup Forever to give brides an amazing flawless face that will photograph beautifully day and night.